Bring your horses! 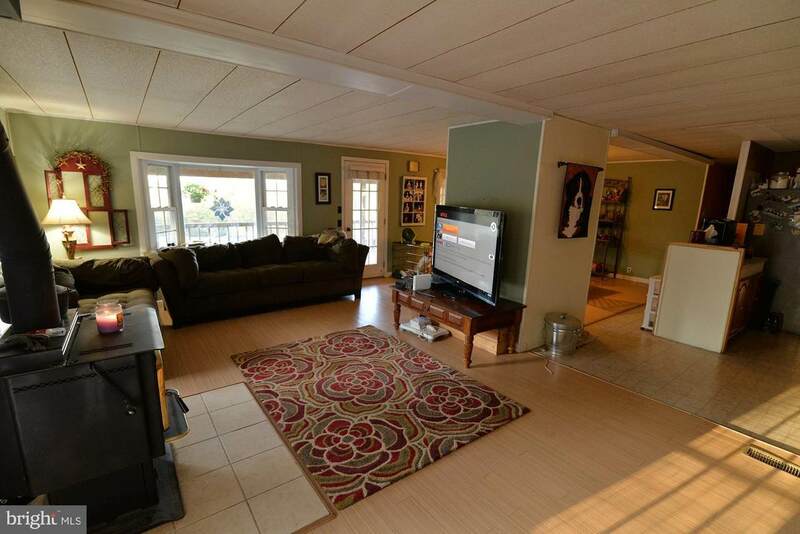 10.2 acres of pure privacy and view in South Manheim Township, Schuylkill Haven Schools. If you love nature this is your place. Sit on your double deck and enjoy the hummingbirds as you watch the sun go down over the lake. There's not a neighbor in sight. Peaceful retreat. 100x100 level horse arena with stone dust edge and a 60 meter circle of sand and rubber footing for training. Small run in area off arena for storage of jumps/ barrels or can double as small paddock. Plenty of more place to add pasture. Fence is set off property line to ensure safety and is three rail with electric back up. Run in sheds in all pastures and paddocks. 10x15 tack room. LED lights in barn. 10x15 large stall or brood stall. currently has 2 stalls standing the the rest of the stall where taken down but remain on property to be put back up. (3) Barn in 30x40 with electric. Hot tub on second level deck to enjoy the night sky. Pool on grounds needs liner but the pump is brand new and has heater if you want to hook propane up. House downstairs is a blank canvas for your imagination. Full bathroom and washer / dryer hook ups both upstairs and downstairs. Brand new appliances. 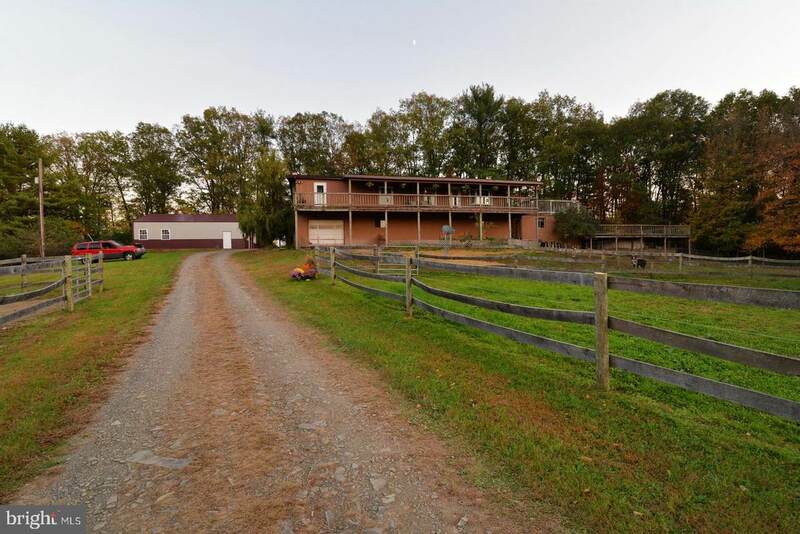 Updated bathroom2 wood stoves, 2 fenced in dog yards, small game pen close to riding trails and you can ride on and off property There are paths nearby to ride. 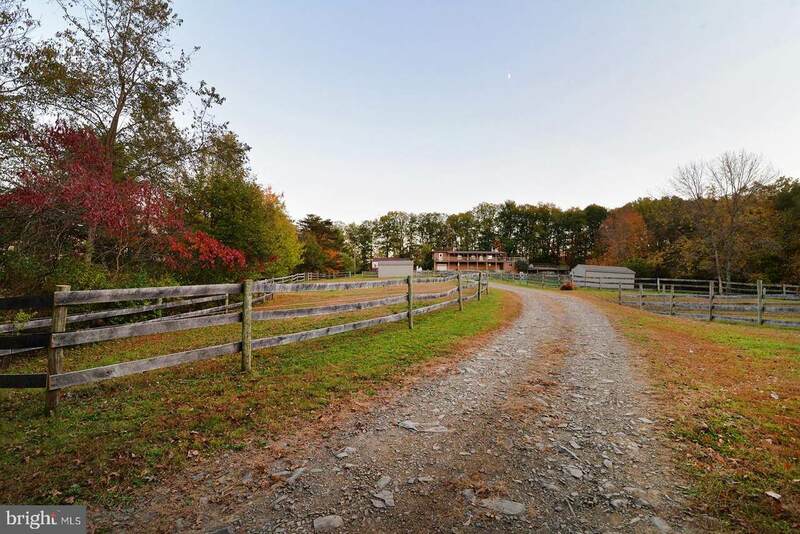 This is a horse lover's paradise and also a hunter's dream. Deer are abundent. A flock of turkeys walk through all the time. This is a bird lover's and nature lover's sanctuary. We are still uploading the marketing - recently painted and some photos do not reflect this. Owner recently placed property in Clean & Green program.